The brainchild of founder and sole director James Parker, Ground Shatter is the culmination of fifteen years of games industry experience across console, handheld, and mobile development. 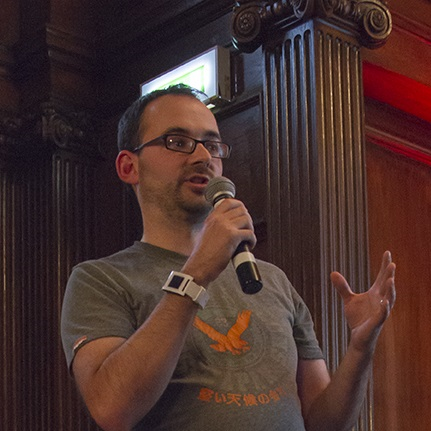 Ground Shatter is the opportunity to build a games development studio in his own image. James has worked in the games industry for over fifteen years. He has been made redundant (and in one exciting turn of events, fired) from the pantheon of great British games developers, and has released over twenty games... most notably the PC port of movie tie-in uber-flop, Catwoman. Most recently James was co-founder of boutique, Bristol-based Opposable Games (Salvaged, Embarrassing Bodies), and served as design director for two years - if anything the company thrives in his absence. There are far more images available for Ground Shatter Ltd., but these are the ones we felt would be most useful to you. If you have specific requests, please do contact us! 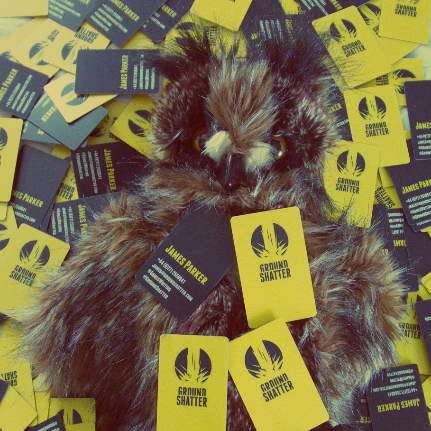 "Innovative Bristol firms placed among top players in England’s creative industries"
"[James Parker's] usage of an all-knowing owl in his @DevelopLive talk has ruined all future talks not involving an arrogant puppet."